Well. I was knitting along on my Ultra Alpaca sweater from a few posts ago, and I got up to the underarm – only to realize that while I’d planned the bow spacing correctly, I hadn’t actually knitted it that way. 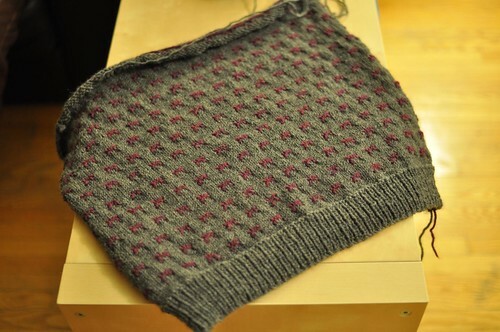 The spacing made it very difficult to work back and forth, which I need to do above the underarm. At least I can make sure it comes out the way I want, right? Arrrrghhhhh! 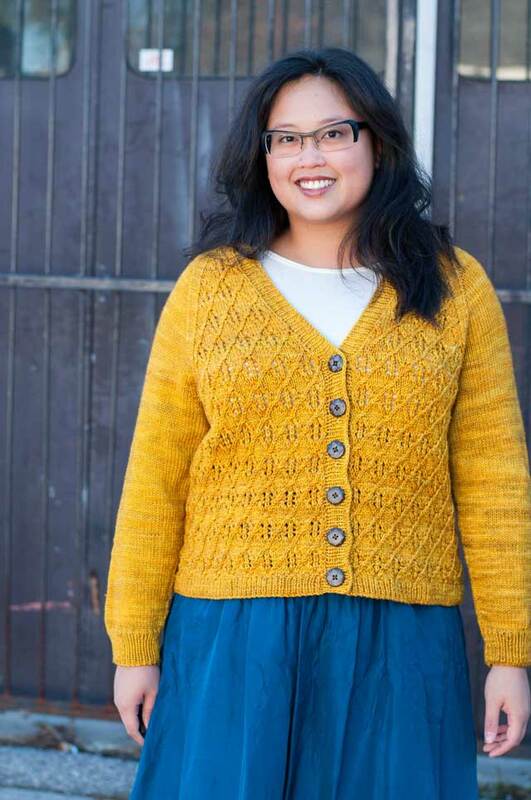 Congrats on your positive attitude :) Good luck with reknit – it’s pretty! I’m so sorry you have to rip! Way to be the boss of your knitting–making sure it’s just the way you want it. That’s the whole purpose of knitting it yourself yes! I love to hear about knitters “unknitting”. There are plenty of days when I spend more time undoing my knitting than doing it. I think when knitters read about someone who is an expert knitter ripping, it gives them permission to do it too, and not feel guilty or bad about it. It’s just part of the process.